The Devil Dogs are a pack of unsavory and despicable types. Born of the dreams of Clansmen from beyond the periphery following an irrepressible calling to seek out the toughest opponents the Inner Sphere has to offer, face them down in their own primitive Battlemechs, and destroy them. Sick of the politics of the Clans, the Devil Dogs seek to find fights motivated by a sense of justice, or otherwise unhindered by the false morality propagandized by those who would call a nation to war. 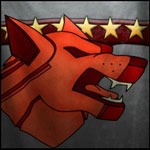 The Devil Dogs have historically been in the direct employ of LOKI, House Steiner's Counter-Terrorism and Espionage Unit, and specialize in clandestine and black operations that House Steiner would prefer to be otherwise disconnected from. Our activities have changed with the invasion of the Inner Sphere, testing our loyalties, and our current mission requires us to operate well behind enemy lines. Our areas of operation are the Lyran sector of the Federated Commonwealth AND the Clan Wolf occupation zone. We don't care who wins the war, as our war is against the evils that plague all of society, particularly the cults, terrorists, religious zealots, narcotics trafficking and anything else other threat that aims to destroy the human spirit. This suits the goals of the Devil Dogs well, as the Devil is looking for souls, and we are all to happy to provide them. We are not evil as others would suggest, though we are happy not to correct those who would accuse us as so. Our mission is beyond morality and lies. We are the Dogs of War, the Hellhounds, the Harvesters of the Wicked and the Unjust. We fear no death, no evil, because we have faced those fates before and have not been found wanting. We seek to face the test of history and prove ourselves worthy of passages in the Rememberance showing us as the epitome of Honor, deserving the respect of our brothers and sisters, and as the bane of our enemies. The Devil Dogs are a casual mercenary corporation, but we play hard. That is, we practice coms discipline, tactics, and wherever we go to fight, we are welcome. That is because we work hard to be elite players in the ever changing world of community warfare. Many of our players have years of experience. We alternate contracts weekly between Steiner and Wolf. Many of us have plenty of Clan mechs. We didn't know PGI would bend us over in community warfare and shove the hot poker of mech-exclusivity in our collective hindquarters. Our lore story, as Wolfs Dragoons, means we brought with and manufacture our own clan technology. PGI won't let us be who we are, so in order to play our clan mechs in CW, we don't have a choice but to go against our own story. We have good relations with many Steiner units and Wolf units, allowing us to augment their forces in CW, and we work hard to be an asset to whatever teams we join. The Devil Dogs used to be a larger mercenary group until CW tore us apart over the issue of clan technology being unavailable to us, even though we ARE Wolfs Dragoons. At this point, we operate typically at Star strength, whether on our own or joining in 12 mans for CW. You will also find players casually playing throughout the evening, and a few at other hours. 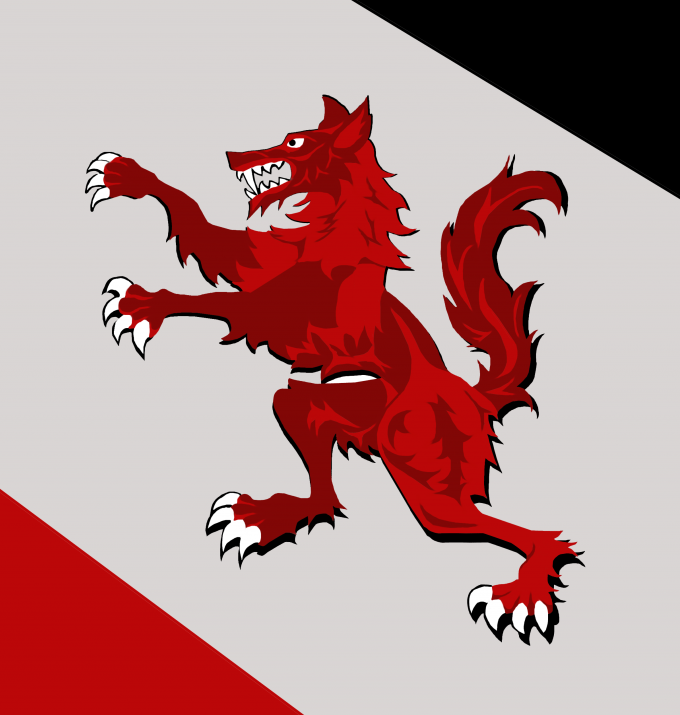 We run by clan traditions, perhaps moreso than your typical Wolfs Dragoons unit. All new players start out as Bonded Warriors under the supervision of Alphas. 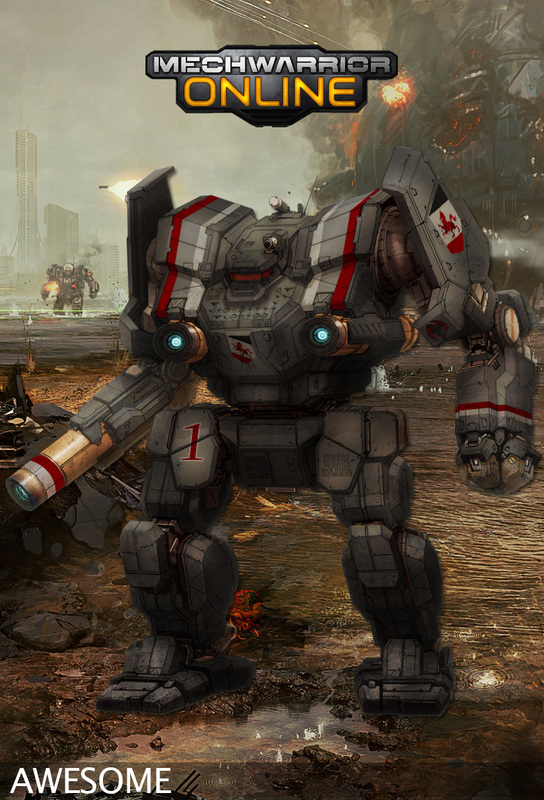 Our touman is made up more than two full trinaries of Warriors and our training regimen is built around a series of trials proving your abilities in various weight classes mechs and appropriate roles. The trials are available for all Devil Dogs to participate in. With the advent of private lobbies, we will finally be able to properly implement trials of position. The Devil Dogs are members of the House Steiner HUB. This is a collection of Federated Commonwealth and Mercenary units loyal to the Archon-Princess Melissa Steiner-Davion. This allows us to practice, in house, against several different units and pool our knowledge. While we don't openly recruit, we do take in stray dogs once in awhile. Do you have what it takes to be part of the pack? The only way you'll find out is if you drop with us. If you're interested, I suggest you fire up teamspeak and mosey into our teamspeak for a look-see. Our channels are located further on down the list of units there in the secured section, so please PM one of us when you get here. 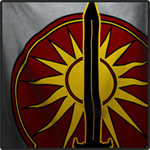 You are welcome to drop with us or any of the other fine house and mercenary units that hang out at the Steiner HUB. A note to U.S. Marines: While we do have many veterans and some active service members within our ranks, we chose the name because it sounded cool, and only after we formed did a Marine join and set us straight! Fortunately, he liked us and stuck around! If you're looking to reenact your service experience, you may find yourself frustrated, but if you're looking for general comradery, you are more than welcome to check us out and see if we're the right unit for you! If you have questions, please visit our the LCAF Communications HUB (teamspeak address: ts1.housesteiner.com), or PM myself and I'll do my best to answer them. Likewise, if you'd like schedule a chat, PM me, and we can talk on Teamspeak. We have an application on our site here. 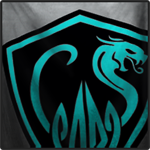 We are primarily a North American team, and we have members on most hours of the day..
We use House Steiner's teamspeak AND Clan Wolf International's as we alternate contracts between Wolf and Steiner weekly. Come on in for a visit or challenge us to a fight! Please PM anyone with a Devil Dogs tag upon arrival, even if they appear muted. We often straddle both channels. Edited by Peiper, 04 September 2017 - 12:14 AM. Snow is being polite. We're really a bunch of mean, curmudgeonly guys with no sense of humor. Curmudgeon has some really cool synonyms! That is, if I liked synonyms, which I don't. Edited by Peiper, 30 October 2012 - 11:18 AM. Being part of QED, I have to say this is a great bunch of mean people. Hey they let us Blacksheep in among them. What is not told is we have several Teamspeak channels that we can work from and are happy to help you grind if you are serious about playing and having fun. Oh! P.S. I approve the opening message. What Zorob is talking about is the combination of QED and Devil Dogs to make the greater Devil Dogs Galaxy. Though we're picking up people who have never played now, QED and the Devil Dogs were at war with each other for a couple years before MWO came out. We were both 'Wings' in Battlestar Galactica, a free to play browser based game and we not only fought against each other nightly, but we won each other's respect in doing so. What made us different than many of the players on our server (Aquaria), is that we respected our opponents as people, and not as just enemy pixel-ships to be destroyed. It's easy to play a game and fall into the mentality that you are playing the game, and everyone else is just there to present you with entertainment. We recognize that behind every machine in the game, there is a player, and that player deserves respect as a human being. Sure, we talk some serious smack sometimes - but it is rarely personal. QED is still the scariest wing on Aquaria when they return to wreak havoc. The Devil Dogs are still very active, and still command the greatest of respect by giving it. The combination of these two factors has made us stronger, together, in the greater Devil Dog Galaxy on Mechwarrior Online. We are great players first, mechwarriors second. Oh, and everyone else are a bunch of chumps. One of the ironic things about this merc. corp. recruiting channel is that the smaller units, which need more players, are lost at the end of this list. The larger ones, who have many members to keep bumping there unit onto the first page get more recruits. I say this because I only get applications when it's on the first of 35 pages. Perhaps MWO mods would like to have a revolving front page of corps. recruiting? If not, I have no choice but to start bumping our page each evening. Hey there just read the info on your webpage up top and was wondering which version of Teamspeak you use? We use the latest version, for the most part. Send me a PM if you want to join us for a drop or six! Wolf's Dragoons were my fav merc unit back in he day, are you guys claiming to be part of that? 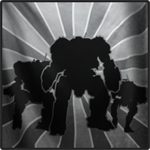 Yes, we are affiliated with Wolf's Dragoons, along with several other units in the MWO community. The way the MWO gods have set things up is that no one unit can claim to be any canon unit; but we can claim to be part of that unit. We work closely with many other units associated with the LCAF/House Steiner Hub - some of which are Steiner/FedCom house units, and other merc units who have taken long term contracts with the Archon-Princess. 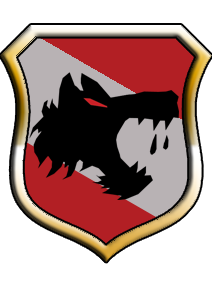 (That the Wolf's Dragoons are associated with the FedCom for the next decade helps too.) For canon purposes, our unit works for LOKI, whose operations are mostly black ops or otherwise deniable. This is why, while we are here, our unit is not mentioned in the history books. The reason we've associated with the HUB is because it's full of a great bunch of guys. Some of them are veterans, and others fresh out of their sibkos, I mean, still using training wheels. Some like to roleplay, but most just like to group up and smash face. We drop every night, sometimes together, and sometimes scattered among many different teams in LCAF. Perhaps, we'll see you there soon? PM me if you would like to check us out. Been having a fantastic time dropping the last few nights. I just wrote an article on how I have to triage my friends' list every night to make room for people joining in our drops. Yeah, we win against the hordes of new players out there, but it's hard to get the word out that they don't have to go it alone. While this 4 man drop stuff has been frustrating, new players are still wandering in to check things out. Here's is our teamspeak information. I couldn't post it before for security reasons. We are one of several units related to/work for the Federated Commonwealth. Hop on in and head to 'waiting for drop' and someone will pick you up. Devil Dogs members have a tiny version of our big red dog shown above next to our names. Wanted to take a moment to welcome our newest recruits. and hope to see more join. Had a blast tonight. Even with four men in a drop, Devil Dogs can sure clean clocks! Despite being a pack of "unsavory and despicable types," Devil Dogs are okay people. See you guys on Dec. 5th... MWO gods willing. Here to bump us again because Peiper threatened to send me on a soft mission! It's been rough the last few weeks, given this 4 man drop shizzle, but we're still here and still rockin'! 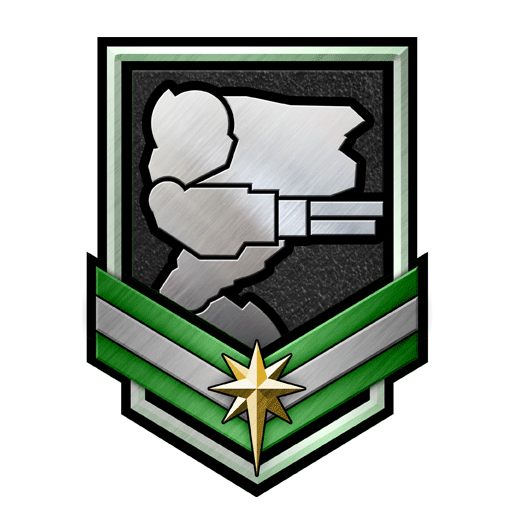 Looking for some players on between 4:30 am Est. time to group with if any ars interest. Send a frind invits to this name around that time frame week days.